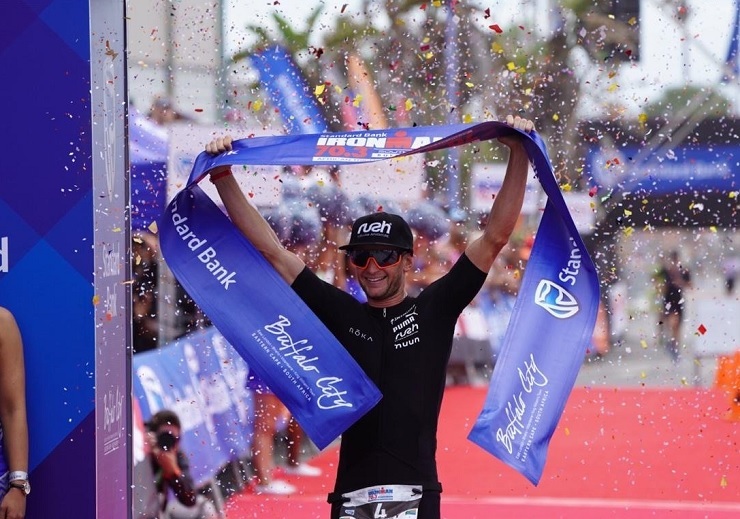 Bradley Weiss and Annah Watkinson won the respective men’s and women’s Ironman 70.3 triathlon in East London, Eastern Cape, today. Weiss completed the 1.9km swim, a 90.1km bike and a 21.1km run in 3:53:50, beating compatriots Matt Trautman and James Cunnama to the line. Watkinson won the women’s race in 4:21:14, finishing ahead of Emma Pallant and Jade Roberts.